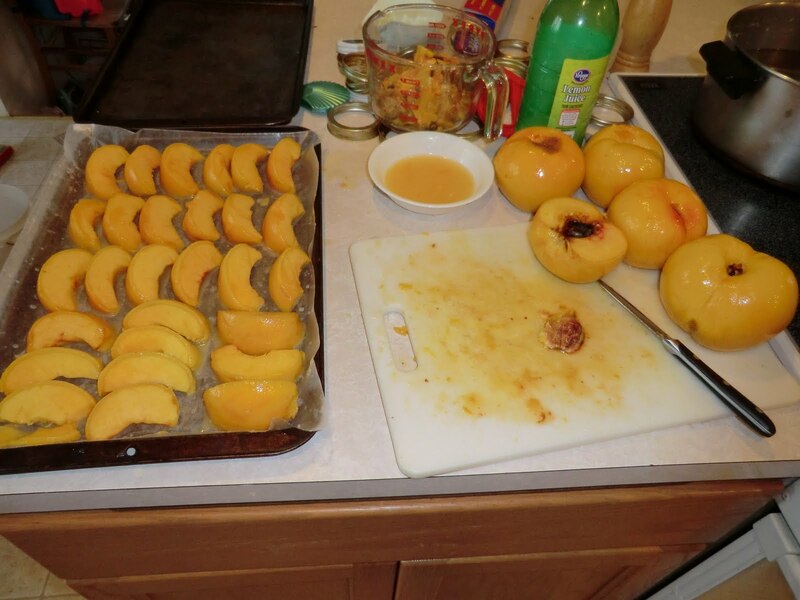 A Resourceful Home .com: Peaches! Part 2, 25 Pounds! 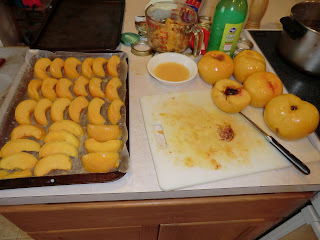 I did another round of peach preserving last week. 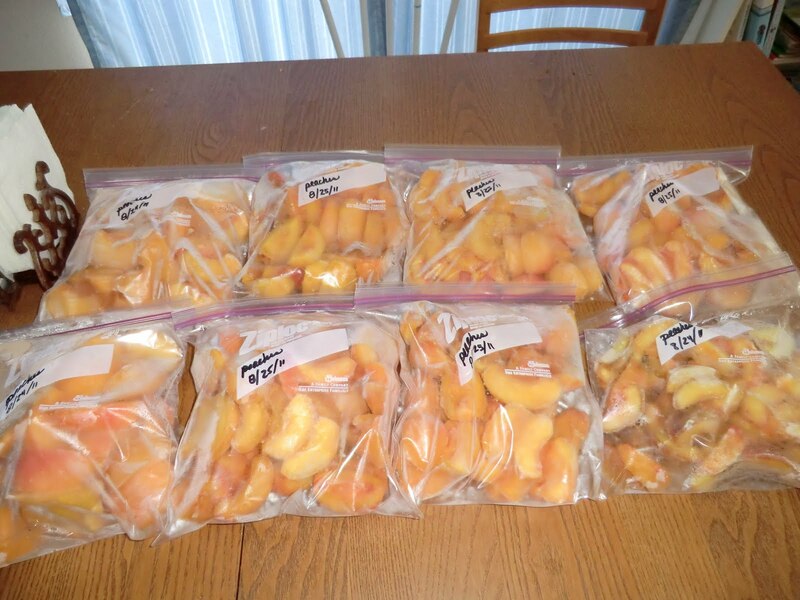 A friend had shared that she froze most of her peaches for her daughters to use in smoothies all year. She described the process and it sounded good to me, so I tried it. First I blanched, peeled, and sliced up peaches. Then I dipped them (all sides) in lemon juice to preserve color and laid them on lined cookie sheets. Then I popped them in the freezer. After freezing, I peeled the peach slices off the wax paper and put them in Ziploc bags. The color still looked great and the fruit was holding its shape nicely. I think I'll be able to use these for smoothies, cobblers, and pies, too! There was one casualty in my peach freezing. My favorite colander (with washed peaches in it) was on the stove waiting for the blanching water to boil. 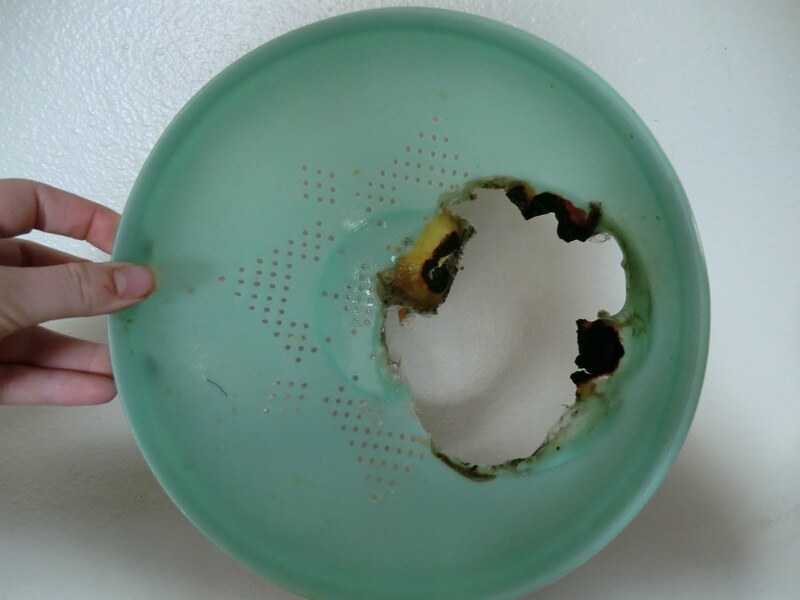 Sadly, I turned on the wrong burner and the damage was well done by the time I smelled the melting plastic and rescued the peaches. Whoops! Praise the Lord no greater damage was done and pray that I can get the melted plastic off the glass stovetop without ruining it!